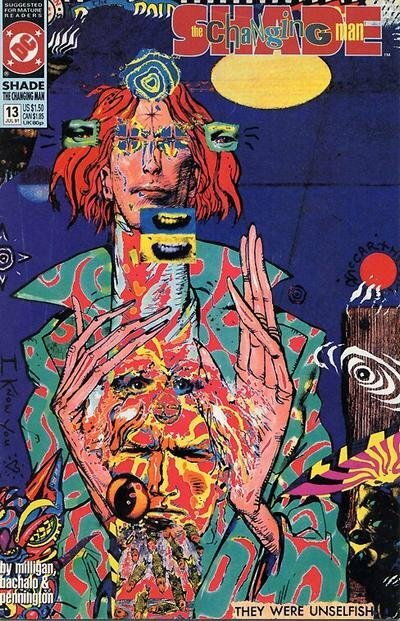 Click Here To See Shade, the Changing Man #13 Comic Book! Shade, the Changing Man told the story of a fugitive from the militarized planet Meta, Shade (whose full name is Rac Shade). Shade was equipped with a "Vest-M" (or Vest-Miraco, named for its inventor) stolen, which protected him with a force field and allowed him to project the illusion of becoming a grotesque and huge version of himself. The character was the first created by Steve Ditko. 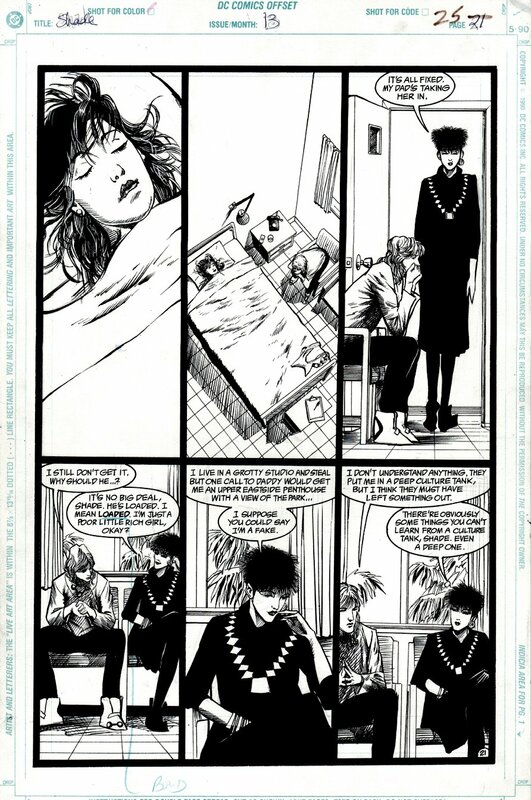 In July of 1990, six months after the final appearance of Shade in Suicide Squad, Shade was moderated by Peter Milligan and Chris Bachalo, becoming part of the second wave of the so-called "British Invasion", together with Sandman by Neil Gaiman and Animal Man, by Grant Morrison.